Royer Labs John Jennings On My Latest Inner Circle Podcast. 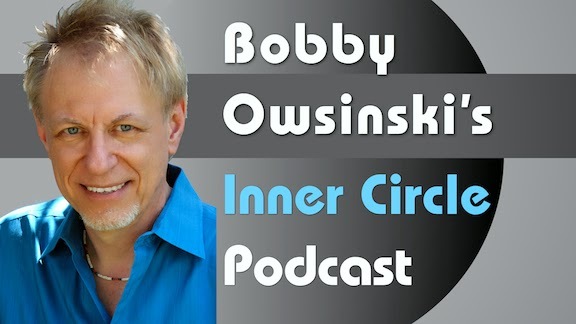 Royer Labs VP of sales and marketing John Jennings is my guest on my latest Inner Circle Podcast. We talk a lot about ribbon mics (Royer makes some of the best, of course), but also about guitars. We also discover that we have a common background in Bruce Springsteen's back yard in Asbury Park, NJ. In the intro, I look at the logic behind Apple asking the major labels for a licensing discount for Beats Music (or whatever the new name will be), as well as the 10 iconic products that the music/pro audio industry got right. It's time for some Motown magic with the isolated bass track from the Marvin Gaye masterpiece "What's Goin' On." The song features bassist James Jamerson at his best, even though he played the song laying on his back as he was blind drunk! 1. Jamerson's timing. Regardless of what physical state he was in, the man's timing is impeccable. He's always spot on. Remember, this was way before the days of DAWs and the cut and paste mentality that we have today. 2. He was free to play what he wanted. Contrary to what we do today, there was no set part for Jamerson to play, so he free-forms it for the entire song (and most of the others he played on too), and pretty much never repeats a lick. 3. Jamerson's tone is unique in that the sound was damped by a piece of foam underneath the strings at the bridge. He never replaced the strings unless one broke, and the neck of the 62 Fender Precision was reportedly so warped that it was unplayable except to him. The bass was taken direct and intentionally slightly overdriven at the console. 4. Jamerson's technique was also unique in that he only used his index finger to pluck the strings. We all like to be more productive with our time, and since we're all creatures of the computer, anything that helps either decrease our waiting time or that gives us more options is welcome. Here are 7 things that I've found to be very helpful in increasing productivity, and they're all less $100. Not all are computer related but they're extremely useful all the same. 1. More computer RAM. One of the quickest ways to increase your productivity is to add RAM to your computer if possible. It's not that it makes it faster as much as it keeps it from slowing down during processing, or being able to keep multiple windows or apps open at the same time. I get mine from Other World Computing. It's cheap and Apple certified. 2. 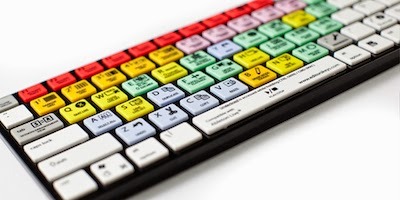 Editor Keys Keyboards or KB Keyboard Covers. If you want things to go faster, it's great if you know all the key commands of the DAW that you're working on. But who can remember them all? That's why a dedicated keyboard or a keyboard cover is so valuable. It pays for itself the first session you do with it. 3. Apple Magic Mouse. It's a trackpad and wireless mouse all in one. Scroll up and down and side to side with ease. Plus, it can really help with that tennis elbow that you've developed from too much traditional mousing. I know that some of you really like a trackball, but it gives me severe tennis elbow, so the Magic Mouse is a arm-saver. 4. Smartphone Music Apps. I'll admit it - I'm an Apple fanboy, which means I'm way partial to the iPhone, but what's really essential is the number and variety of music apps that are available that can be so helpful. Guitar tuners (an essential for everyone who works in a studio), SPL meters, BPM indicators, delay calculators (try my free Delay Genie), personal monitor mixers - you name it, it's available. 5. Clip-On Guitar Tuner. Guitar tuners have been around for a good long while now, but nothing is as convenient as the clip-on variety. It works on any stringed instrument, doesn't require an input cable, and is as accurate as can be. I prefer the Snark SN-5, which is a great deal for only $10. 6. Etymotic ER20 Ear Plugs. If you want to protect your hearing, the Etymotic ER20's are the best thing ever made. They're cheap ($12) and not only cut down the level, but keep the frequency response pretty much the same while doing it. I always where them to live shows, but I even wear them in the studio when I know there'll be loud playback, or live tracking. I been known to forget I have them in, which you could never say with foam or wax. 7. Oblique Strategies. I'm going to single one smartphone app out here and that's Brian Eno's Oblique Strategies. It was created as a card set by Eno and Peter Schmidt in 1975 as a way of keeping you moving forward when you get into a creative rut. The app allows you to randomly pull a card, which will provide an unexpected direction to take, but the traditional card set is also available as well. Prepare to take some major left turns! I'm sure there are plenty of things I've overlooked. What helps you with your productivity? If ever there was a title of “Godfather of Mastering,” Doug Sax has truly earned it as evidenced by the extremely high regard that the industry holds him in. One of the first independent mastering engineers, Doug literally defined the art when he opened his world famous The Mastering Lab in Hollywood in 1967. The Lab has since moved to the quiet peace and beauty of Ojai, California, but the magic that has drawn such major diverse talents as The Who, Pink Floyd, The Rolling Stones, The Eagles, Diana Krall, Kenny Rogers, Barbra Streisand, Neil Diamond, Earth, Wind and Fire, Rod Stewart, Jackson Browne, and many, many more, continues to draw. Here's a piece of the interview I did with Doug from The Mastering Engineer's Handbook 3rd edition that goes into detail not only about the evolution of mastering, but of recording as well. "Is it true that you were the first independent mastering engineer? Absolutely. Independent has to be clarified because if you go back to the late ‘60s and before, everything was done in-house. You were signed to a label, you were given an A&R man, and you stayed within the label. If you recorded at Capitol, then you went down to Capitol’s mastering to get your product cut to lacquer. You went to Capitol’s art department and they gave you the artist that designed your cover, and that’s the way it was. It was really at the end of the ‘60s that certain top producers would say, “I love the security, but I would like to work with an artist that’s not on this label. I would like to work with Streisand, but she’s on Columbia.” So they started to break off from the label and really started the process where nobody is tied to one any more. The cry became, “If you sign me, I’ll use the engineer I want and I’ll record and master where I want.” That’s 40 years of hard fought independence, so from the standpoint of an independent that is not aligned with a label, just a specialty room that handles mastering, the answer is yes. I was one of the pioneers when there was no independent business. We opened up our doors in December 27 of 1967 and by ’71 or ’72, you couldn’t get into the place because we were so busy. By ’72 we were doing 20 percent of the top 100 chart and there weren’t a lot of competitors. There was Artisan in LA, and Sterling and maybe Master Disk just starting in New York, and that was it. Now there seems to be a thousand because the reality is that it’s very easy for someone to go into this business now, or for the artist or engineer do it yourself. You can get a workstation with all the bells and whistles for a song and a dance. 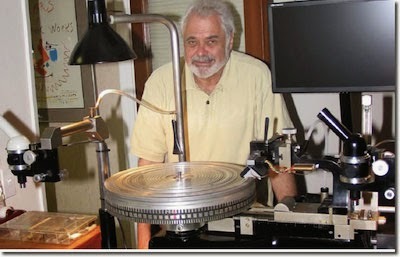 A Neumann lathe setup in 1972 was $75,000, and that was just the cutting system; you still needed a room and a console, so you had to have a big budget, and there was only a few people doing it as a result. Now you fire it right up. And don’t forget that in the industry for almost ten years there were no tones on an analog tape, so you didn’t know how to line up to the machine. No tones. I’m one of the instigators in railing on these guys to go back and print the tones so I could at least set my machine to where your machine was. There was no such thing as nearfield monitoring either. It didn’t exist. People used to go to these strange studios with big speakers in the wall, most of which were useless as far as relating to the real world, and the engineers never knew that they were out in left field because they had nothing to take home. The cassette was just starting and only a handful of engineers that I can think of actually had a 15 ips (inches per second) tape machine at home that they could take home a mix and find out where they were. I started the process in the early ‘70s just in self-defense. I would say, “Look, before you do anything, come in with your first mix on-the-house and find out if you’re in trouble. We’ll listen to it and get you straight.” I just got tired of watching these guy’s eyes open the first time they ever heard their mixes outside of the studio. “Oh, my God. I couldn’t hear any highs in the studio so I kept adding highs.” That absolute horrendous reality is really the reason why nearfields came in. How has mastering changed over the years from the time you started until the way it is now? My answer is maybe different than everyone else’s. It hasn’t changed at all! In other words, what you’re doing is finessing what an engineer and artist has created into its best possible form. If an engineer says, “I don’t know what it is, but the vocal always seems to be a little cloudy,” I can go in there and keep his mix the same yet still make the vocal clearer. That’s what I did in 1968 and that’s what I still do. The process is the same and the goal is the same. I don’t master differently for different formats because you essentially make it sound as proper as you can, and then you transfer it to the final medium using the best equipment. One of the things that has changed recently is that every client that comes in wants vinyl again. Almost nothing comes into the Lab that doesn’t do vinyl anymore. For one thing, it doesn’t cost that much. For another $1500 you can be doing vinyl, and you’re in a young market as the people buying these turntables are 18 to 25, and that’s proven. If you want to get your album to people that are really listening to the music, that’s the way. It’s also where the people that are going to buy hi-res downloads are coming from as well. Right now we’re mastering a Jackson Browne album and making a CD master, MFIT master, 96k master, 192k master, DSD master and vinyl. That’s 6 different formats. Three years ago we made a CD master and that was it. That’s becoming more and more routine. I think this is all an offshoot from the phonograph record in the home. The fact that someone has to make a commitment to listening to a record and won’t be listening on earbuds but real loudspeakers is a revolution right there. Do you have a philosophy about mastering? Yes. If it needs nothing, don’t do anything. I think that you’re not doing a service by adding something it doesn’t need. I don’t make the stew, I season it. If the stew needs no seasoning, then that’s what you have to do, because if you add salt when it doesn’t need any, you’ve ruined it. I try to maintain what the engineer did. A lot of times they’re not really in the ballpark due to their monitoring, so I EQ for clarity more than anything." Read additional excerpts from The Mastering Engineer's Handbook 3rd edition and my other books on the excerpts section of bobbyowsinski.com. We all wonder what will happen to our current audio or video project data as the years progress. Many types of media that we thought would last for thousands of years now appear to have a much shorter lifetime than originally thought, and the playback units have an even shorter lifetime. Not to worry - the clever scientists at Harvard's Wyss Institute have come up with a novel way of storing data, and lots of it - using DNA. It turns out that DNA actually has a lot of benefits. First of all, it's very dense so it can be packed with data, and the Harvard team packed 700 terabytes into a single gram so far! In fact, it's been estimated that about 4 grams of DNA could store the entire worlds info (1.4 zetabytes as of 2011). Secondly, it's stable so it lasts for hundreds of thousands of years at normal room temperatures, while many current cutting-edge storage technologies work only in a sub-zero vacuum. It's also volumeteric so it can be stored in a beaker or any shape container, while most storage that we use today is planer, like hard discs. And yes, since it's DNA, you can potentially use your skin as a storage medium. How's that for security. It's not coming to your local Fry's or Apple Store anytime soon though, so we'll be living be hard drives (although we're quickly getting to the solid state era) for at least the near future. Here's a video that explains DNA storage from the researchers themselves. Eventide has a long history of digital signal processing, being the first company to bring a digital delay to market, then the Harmonizer series, then the beloved 2016 reverb still revered by many mixers. The company now provides plugins that emulate the sound of many of its vintage units, and recently introduced the latest in the line called UltraReverb. UltraReverb is an integrated bundle of 9 reverbs plus a compressor, four parametric EQs and stereo delays. The reverb algorithms are derived from the H8000 Ultra-Harmonizer and include Ambience, Rooms, Plates, Halls, Chambers, and the unit also features a compressor with a key input that can be set to either pre or post reverb, as well as 4 three-band parametric EQs. UltraReverb also has a couple of very cool features in that you can control both the modulation depth and rate of the reverb tails, and there's a LoFi control for bit reduction to help emulate that vintage sound that we still love. The plugin is available in AU, VST, or AAX64 formats for both Mac and Windows, and features over 300 presets created by audio pros and artists. It's available on the Eventide site for $199 with a free trial period, or from your favorite audio retailer. Here's a video that describes the UltraReverb's features.